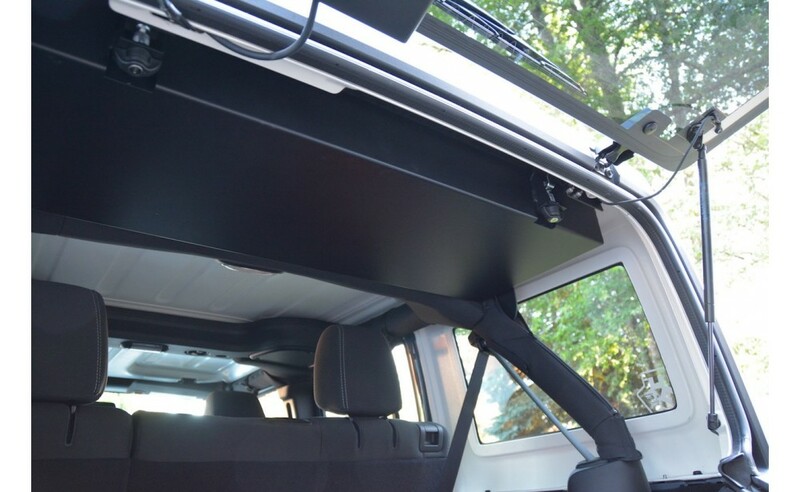 The WD Automotive JKVault is the only sub-roof concealed locking storage system available for your JK Jeep Wrangler - and it's Made in the USA! 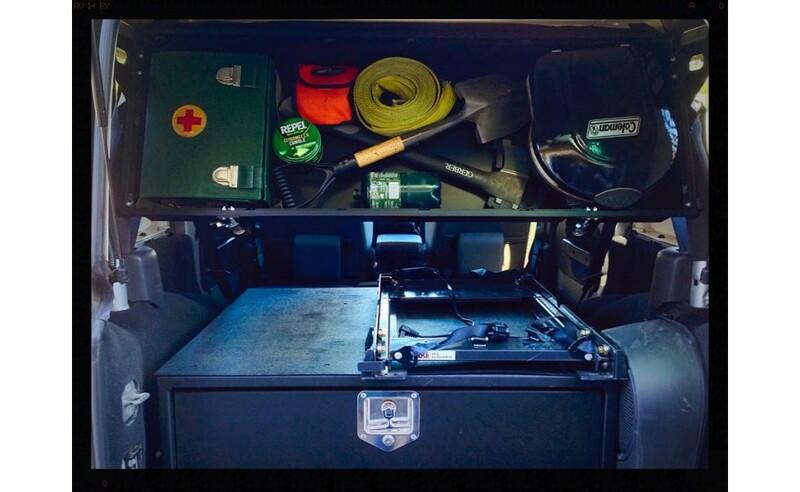 Constructed of aluminum with steel hinges and lock hardware, the JKVault is easy to open and secure. The convenience factor of the JKVault will blow you away - it's so quick and easy to access! Installation with included instructions and template is relatively simple. Light-weight, powder-coated aluminum is durable! 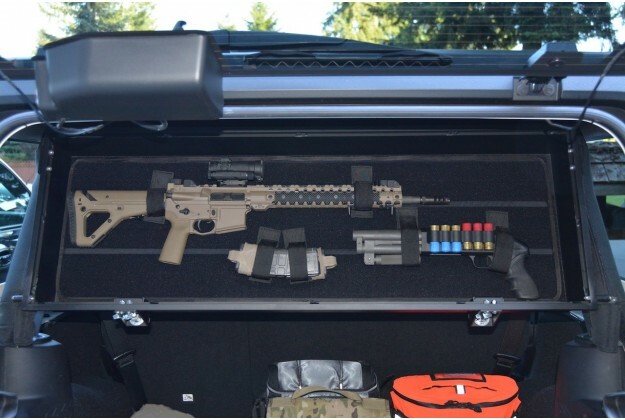 Secure, concealed storage that does not block vision. You almost don't know it's there until you are staring at it. Manufactured right here in America by WD Automotive as part of our awesome over-landing solutions. 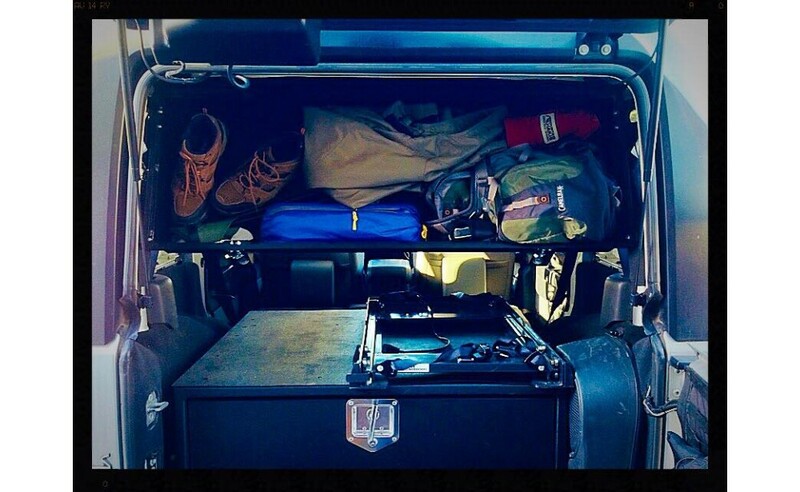 Notes: Fits all JK Jeep Wranglers with a hard top. Super easy to remove when taking hard top off JK. 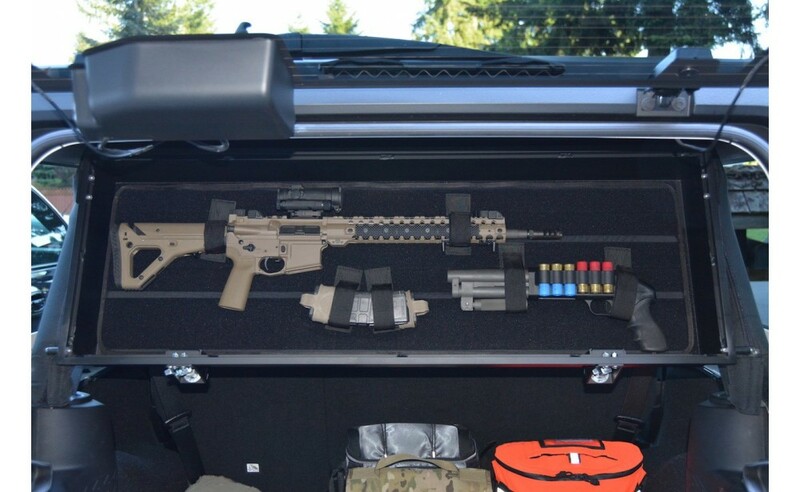 The JKVault mounts partially on the roll bar - keep this in mind if you have other roll bar mounted accessories. 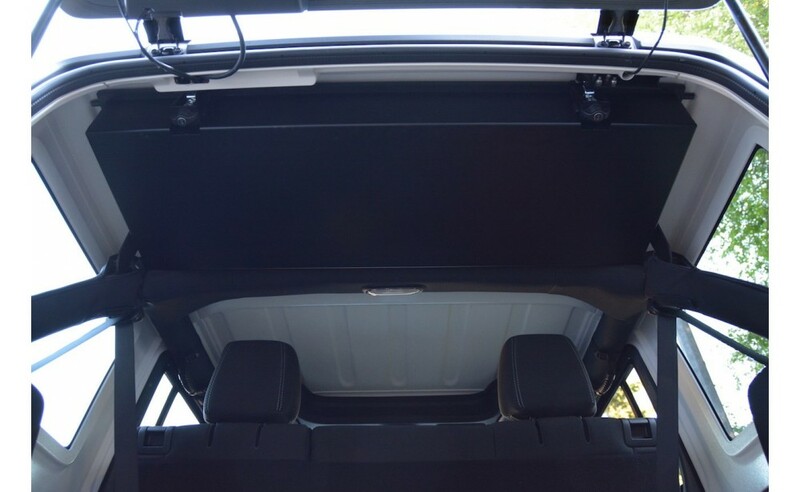 (ie, roof-racks which go through the hard top, speaker pods, etc.) 40-50 LBS load-rate is recommended! An Extra for the JKVault storage box.Helps secure products inside the JKVault system from shifting.B..